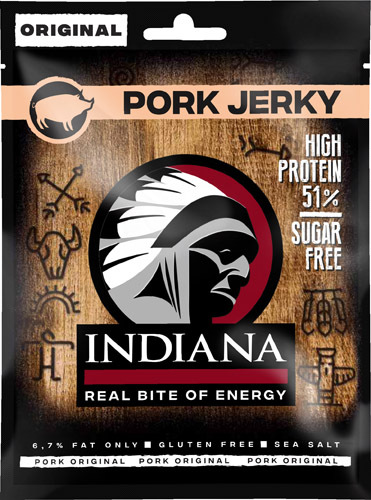 The Indiana Pork Jerky is tender and has a pleasant slightly salty flavor. 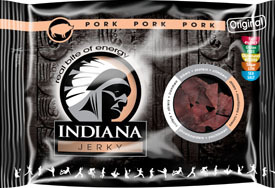 Indiana Pork Jerky is made european style. 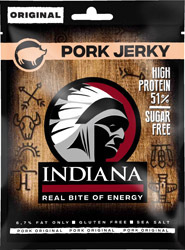 It's less sweet than the American Jerky. 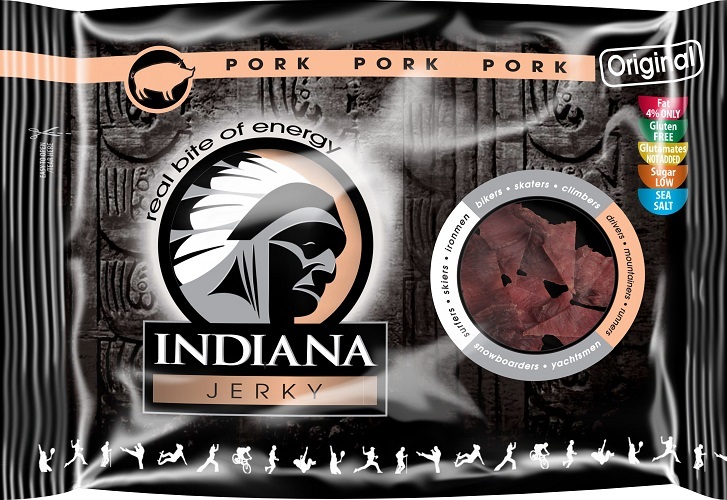 Indiana Jerky is extremely low in carbohydrates, making it an ideal snack for athletes and well suited for modern low carb diet.